A. Title: Clara Barton Needs You! Description:There are three lessons in this unit. Lesson One: Volunteer Now! Join the Staff: Students role-play a visit to Clara Barton, and work as American Red Cross volunteers at the American Red Cross headquarters’ office and warehouse located in her Glen Echo home. Section 1. Make Your Calling Card (about 30 minutes): Students create a calling card and role-play meeting and working with Clara Barton. Students compare and contrast the social custom of the period with modern practice by making their own calling cards. Section 2. Daily Life and Personal Hygiene in the Glen Echo Home (60 minutes) The students explore life with Clara Barton and her volunteers at Glen Echo, and compare it with modern family life. They participate a simulated personal hygiene - hand washing - routine of the period and contrast it with current American practice. Differences in family life around the world can be explored. Section 3. Home Work! (30 - 45 minutes) Students explore American Red Cross work and what volunteers do. They create a copy by hand, without a modern copier. Lesson Two: Out In The Field! Where and When You Will Work (about 45 minutes): Students use a timeline to identify the American Red Cross different kinds of relief efforts between 1881 -1904. They explore maps to learn more about the places where Clara Barton and American Red Cross volunteer staff did relief work. Lesson Three: Save A Life! How You Can Do This (30 – 45 minutes) They investigage what items people need during emergencies and how they can help their families prepare for a disaster. Students create an emergency supply poster. How did the American Red Cross volunteers assist Clara Barton accomplish the work of the American Red Cross? Water pitcher or basin, bucket, clean empty plastic milk jugs, anti-bacterial soap, other personal hygiene products and paper towels. Understand how to apply geography to interpret the past. Understand how to apply geography to interpret the present and plan for the future. Grade 2: Measurement: Developing an understanding of linear measurement and facility in measuring lengths. NM-MEA.PK-2.2 Apply appropriate techniques, tools, and formulas to determine measurements children develop an understanding of the meaning and processes of measurement, including such underlying concepts as partitioning (the mental activity of slicing the length of an object into equal-sized units) and transitivity (e.g., if object A is longer than object B and object B is longer than object C, then object A is longer than object C). They understand linear measure as an iteration of units and use rulers and other measurement tools applying that understanding. They understand the need for equal-length units, the use of standard units of measure (centimeter and inch), and the inverse relationship between the size of a unit and the number of units used in a particular measurement (i.e., children recognize that the smaller the unit, the more iterations they need to cover a given length). NSS-USH.K-4.1 Living and Working Together in Families and Communities; now and long ago. Students will explore the work and life of Clara Barton and her American Red Cross volunteer staff, and what supplies and materials were necessary to survive and recover from a disaster. Students will compare and contrast Miss Barton and her volunteers’ daily and home life with their own. Students will gain a basic concept of the difference between natural disasters and man-made disasters. 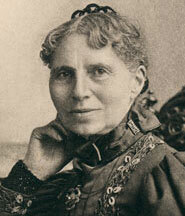 Clara Barton founded the American Red Cross and served as president for 23 years. She established programs and systems of relief that benefited victims of natural disasters and war by creating local American Red Cross chapters and incorporating and training people to serve as American Red Cross volunteers. Barton managed the American Red Cross and directed a large and diverse volunteer staff who were essential to the organization. They assisted in relief efforts for victims of wars and natural disasters. Without them, American Red Cross relief efforts would not have been possible. They worked on over 18 peacetime disaster relief operations and the Spanish American War. The Glen Echo home was built for Clara Barton in 1891 as part of the original development in Glen Echo, Maryland. The building functioned as an office building, a American Red Cross warehouse, and a dormitory for volunteers. It was designed like the Johnstown, PA, American Red Cross shelter used after the 1889 flood. The Glen Echo building was used as a warehouse to store Red Cross relief supplies between 1891 - 1897. Some of the items shipped to South Carolina after the 1893 hurricane came from the Glen Echo storage. There were 1000s across the nation volunteered for the American Red Cross. Some were skilled and trained in professional careers, and others could not read or write. There were Caucasians, African Americans, and foreigners, men and women of all ages. If people were willing to do the work without pay; and make a difference by helping those in need, then Barton wanted them as volunteers. Barton, together with volunteers and staff moved into the warehouse in 1897 and converted it into a home. It was not a typical home as it functioned as dormitory for volunteers, and a warehouse. Most volunteers had permanent homes elsewhere in the U.S. and some overseas. Many took time from their regular jobs to volunteer wihtout pay for the American Red Cross for short periods. During this time, they lived at Glen Echoworked. Others did not have other jobs and lived in the Glen Echo home full time. Volunteers did not pay rent at Glen Echo and had free meals. Barton lived there, and as was not paid as president of the American Red Cross, so she was also a American Red Cross volunteer. Clara Barton lived at Glen Echo from 1897 - 1912. She had a telephone that, at the time, was a new and expansive invention. Few people had telephone in their homes at this time. Rather than phone ahead, people stopped in at another person’s home and presented their calling card to announce themselves, or to arrange a visit. People coming to Clara Barton’s Glen Echo home presented their calling cards to an American Red Cross worker so that Miss Barton would know who wanted to visit her. If she was not too busy, she met with the visitor. If she was busy, she might write a note on the calling card and send it back to them. If she was not at home, the calling cards were presented to her when she returned home. The International Red Cross was started in Geneva, Switzerland, in 1864. It was formed to provide neutral relief for wounded and sick victims of war. When first started, 12 nations joined the International Red Cross. The U.S. was not among them. Barton learned about the organization while traveling abroad. She volunteered with the organization during the Franco-Prussian War in 1870–1871. Barton founded the American Red Cross in 1881 and expanded its mission to include peacetime and natural disaster relief work. Her idea for peacetime relief caused the International Red Cross to expand its mission to include peacetime relief. Clara Barton and the American Red Cross volunteers went into communities where terrible natural disasters occurred, and helped wounded and sick people during times of war. She imparted a critical lesson, that it was best to be prepared before a disaster occurred. Today, organizations such as the American Red Cross help families during major disasters. They transport relief supplies with cars, trucks, airplanes, and helicopters. They respond more quickly than in Clara Barton’s time when supplies were transported by horse wagons, trains or boats. Help can still take days to reach people today, so families should have an emergency plan and emergency kits ready to take care of their own needs. The students can become family leaders by taking what they have learned about Clara Barton and the American Red Cross and putting it into a plan of action that could help their families prepare for a disaster before one happens. By being prepared, their efforts may help save a life. American Red Cross – an organization founded in America by Clara Barton in 1881 to provide relief for American communities during times of great emergencies, natural disasters, and wars. The organization still helps people now and is part of the International Red Cross. Natural disaster – people, buildings and lands are damaged by natural causes, such as floods, hurricanes, and tsunamis rather than caused directly by people, such as a train accident or war. Assemble a collection of modern business cards or have students bring in calling or business cards ahead this activity. Make sure each student has one. Assign a location in the classroom to represent Clara Barton’s Glen Echo home. Tape “Group of Notable Women” [CLBA 4522 Page 10 and 13] cropped,] and print out pages as well as calling card page. Identify classroom space that will function as the Glen Echo house. Have students to bring in photographs of their home before the activity. Assemble magazines or real estate listings in the classroom. Have the students cut out the photographs of houses, buildings and rooms to create a collage for display in the classroom. Review the Red Cross family tree [CLBA 578] caption. For the Make a Copy activity, substitute calligraphy pens and ink, if available, and you feel the students can work with these supplies. For better results with the words, use a narrow paintbrush. The paint needs to be damp for the transfer. You may also write a sentence on the board for the students to copy if they need assistance. Consider additional work activities using a stapler, manual typewriter, and writing to simulate American Red Cross volunteer work. Bring a modern first aid kit to the classroom. Ask the school nurse, if available, to visit the classroom as a guest speaker to discuss the modern first aid kit. Assemble a collection of sale ads from Sunday and other newspapers, flyers, or have students bring them in. Print out page featuring Clara Barton sitting on the porch[CLBA 4522 p 10]. Project the engraving plate [CLBA 1632] for Barton’s calling card and a scrapbook page of calling cards [CLBA 6, p 4] that she received or pass around printouts. Hand out an assortment of modern calling or business cards. Discuss modern use of business cards, how they are used today and how Barton used them. Tell students that they will make their own calling cards and will role-play a visit to Barton’s home to present these cards in order to volunteer for work with her. Students use rulers and pencils to create a 4 x2 inch rectangular box on their paper [L= 4”, H =2”]. write their name inside the box and what they want to be when they grow up, i.e., career choice/or title under their name. cut the card out following the lines of the rectangular box. Select a “Clara Barton” and position a student at the “Glen Echo home” location. Have rest of the class to line up, come to the “Glen Echo home” location and present their calling cards to “Clara Barton”. “Clara Barton” announces each student’s name and the career choice or title listed on their card. Have students name a job they would want to be responsible for doing if they lived and worked with Clara Barton in the Glen Echo home. Students discuss their career choice and what skills they will need. Create a list of each student’s career choice or title on the classroom board. Lead a follow up discussion with the class about the diversity of career choices and how they could work with Clara Barton. Discuss the meaning of volunteering and what a volunteer is and what qualities they have that Barton would use to meet the American Red Cross mission. The teacher sets context and provides historic background about Clara Barton’s home and personal hygiene of the period. Explore how Americans get their fresh water supply, and how it is critical to our personal hygiene. Not everyone in the 1900s in the US had indoor plumbing in their homes. In major U. S. cities, indoor bathrooms were more common but were expensive to install and not always very dependable. Sometimes they would overflow into homes causing messes and water damage. Some people did not want to use indoor bathrooms. Clara Barton had only one bathroom in her home with a toilet, sink and bathtub. With up to 25 volunteers in the house at one time, the bathroom was often not available, so other options were available for use in the bedrooms. These items were also essential during disaster relief as clean water supplies and indoor plumbing could not be used. The sitz bath was used in the privacy of the bedroom. The bath was filled with buckets of clean warm water. Dirty water was emptied out down the drain in the bathroom. The chamber pot was used ‘to go to the bathroom’ and waste was flushed away in the only Glen Echo bathroom. There was usually a wash pitcher with clean water for washing hands and faces. The soap dish, toothbrush holder and toothbrush are used the same as today. Discuss people around the world who still face the challenges of having a clean, fresh water supply. Most American families are able to have a constant fresh water supply directly in their homes, but there are many places around the world where people do not have indoor plumbing. People have to fetch and transport water from a source away from their homes. Discuss how students can prepare for an emergency in their own homes, if something happens to their water supply. Divide the students into teams and have them cut out photographs of different style buildings and interiors from magazines or real estate listings. Have students complete side one of “Compare Clara Barton’s home to Your Home” worksheet. Lead students through the completion of side two of the worksheet. Have teams create collages of rooms with various functions [bathroom, living room, bedroom etc.,] and then do a ‘show and tell’ comparing these to the Barton home. Conduct the ‘Wash the Students’ Hands comparison activity. Set up several groups, each will clean hands with simulated soap and water, and with anti-bacterial, hand sanitizer soap, By re-using empty jug, students can fill and store clean, fresh water for an emergency, as they may have to wash this way or use the clean water for drinking or cooking. Set up an area to do this in the classroom. Fill a demo large water pitcher or empty gallon milk container with clean water just prior to the activity. Have large empty bucket or plastic water basin to catch water. If you use soap, it will take more water to rinse the soap from their hands into bucket. Use paper towels for hand drying. Have students create a chart or collage with contemporary personal hygiene products cut out from newspaper ads. Compare and contrast the different methods of hand cleaning and what their daily routine would be if they lived and worked in Barton’s Glen Echo home. Lesson One: Volunteer Now! Join the Staff – Section Three - Home Work! Using the paint and art paper, ask the students to write a short sentence using the vocabulary words: founder, volunteer, American Red Cross and Clara Barton. Have student teams create painted paper. They will place a second sheet of art paper directly over top of the painted paper. Take care not to move the papers while doing this. Place a flat, smooth, heavy surface such as a large text book and squarely on top of the second sheet of paper. Add pressure without moving the paper, then lift off. Carefully and slowly peel the top cover sheet from the bottom painted sheet and examine the transferred imprint left on the cover sheet. Set the original and copy aside and have the students create a second original by hand. Compare and discuss the two types of copies [imprint and handwritten copy, and then contrast with the technology hat is used today to make copies today. Discuss how typewriters and modern computers are similar and different. An important difference is how a computer can check spelling and correct spelling and grammar errors but a typewriter cannot. Define the following vocabulary words as a class: neutral, natural disaster, manmade disaster, relief, and victim. Discuss the differences between a natural disaster, man-made disasters, and war. Have students complete the worksheet, “Out in the Field, Map of the United States” using the “American Red Cross Fields of Service Timeline 1881 – 1904” and tally natural disasters and wars. Distribute copies of the Red Cross Family Tree [CLBA 578] and blank world maps. Have students pinpoint the United States, towns in the US where the Red Cross worked, Switzerland, Russia, Turkey and Armenia. Discuss what and why people need certain things to stay alive and what happens to people when they do not have access to these things. Have small groups of students develop a list of what they and their families would need in the event of an emergency. Show the students Clara Barton’s First Aid Kit [CLBA 1519 – 1543] together with the modern first aid kit. Have students compare and contrast the two. Pass out the poster paper and an assortment of sale ads. Have students draw lines to divide their poster paper into four sections. They write the following category titles in each section; food; clothing; first aid/personal hygiene; other supplies. Students search the sale ads, cut out an assortment of pictures representing items from each category and glue the pictures in the appropriate category on their poster. Students can also create, using a shoe box, a mini emergency supply and first aid kit. Use the “Ready Kids” section of the website www.ready.gov so students can help their families get ready for an emergency. Review the three important steps with the students: create a kit, make a plan and know the facts. Wrap up with a discussion of how the students can use Clara Barton and her work to help their families in the event of an emergency. As a class, discuss the emergency procedures the students need to follow in the event of an emergency at school. What should they do if a playmate is injured on the playground? What should they do if the fire alarm goes off? Do a walkthrough of a school emergency drill, such as a tornado drill or fire drill. Have the students complete the Clara Barton National Historic Site website interactive experience activities at https://www.nps.gov/clba/photosmultimedia/virtualtour.htm. It takes about 30-45 minutes. After completion, students can print certificates and mail to Clara Barton National Historic Site, 5801 Oxford Road, Glen Echo, MD 20812 for a Clara Barton NHS Junior Ranger badge. If completed as a class activity, mail all the certificates together. A package of Junior Ranger awards will be returned to the school or teacher’s address, as specified.